Freedom School of Motoring was established in May 2003 by husband and wife partnership Bobby and Janet Russell and now covers North and South Lanarkshire and Glasgow. Janet runs the office and business side while Bobby concentrates on other areas of driver training. The business covers all aspects of driver training and offers unique courses and services for students. We pride ourselves in offering you our customers’ quality driver training to ensure you are safe and confident on today’s roads.We also work closely with Strathclyde Police and Fire Services to give presentation to High Schools in South/North Lanarkshire and Glasgow and also cover Community Projects. 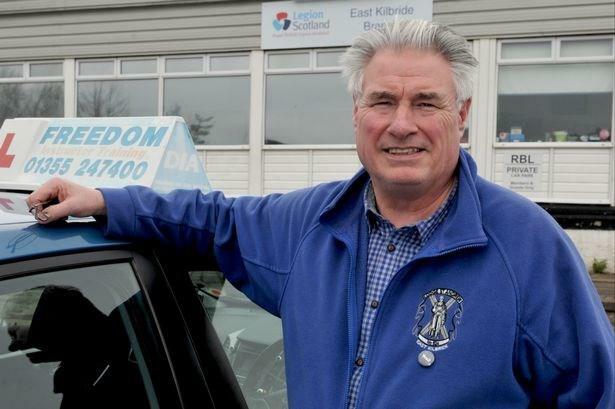 Bobby is one of the highest qualified instructors in Scotland which enables him not only able to teach students, learner drivers, fleet (which covers Companies – i.e. van drivers etc) but also he is a fully qualified Ordit Instructor (Official Registered Driving Instructor Trainer) which enables him to teach potential driving instructors and is fully accredited by the DSA and can be checked on their website.Bobby recently covered a project set up by the Scottish Government to promote fuel economy and safe driving which was aired on television by BBC and ITV. Bobby has looked deeply into the driving instruction industry and is determined to take learning to drive to a higher level and not just be a run of the mill driving school. Bobby firmly believes that anyone who is learning to drive, or undertaking any form of driver training, should receive the highest standard of driver training and customer service and not just be taught to pass a test.Freedom School of Motoring will not let you down. All driving instructors with Freedom School of Motoring are required to further develop their own driving and instructional abilities beyond the minimum qualifications required to be a DSA Approved Driving Instructor. Our Instructors undergo CPD (Continual Professional Development)This takes our instructors to a higher level and the knowledge that they have gained is passed straight to the students. As you will probable agree that todays roads are more busier and more dangerous than they have ever been. New training techniques which we have develop will teach you to look further and expect the unexpected. Our instructors are regularly assessed by the leading instructor (Bobby) the students and parents are happy with this technique as it shows that training is constantly ongoing. This is not just for the student but our instructors as well. We are fully ORDIT REGISTERED not like Driving Schools and Instructors who say they are but are giving an inaccurate statement.This can easily be checked by logging onto the DSA Website which Driving Schools or Instructors are registered.http://www.direct.gov.uk/en/Motoring/Drivingforalivingthen click on The Office Register of Driving Instructor Training (Ordit)..